Clayton Simon grew up with a pack of dogs in Southern California. He attended Acton Elementary, Palmdale High School, then graduated from UC Irvine with a degree in Biology. After 4 short years, lots of study, and many miles bicycle riding, Dr. Clayton Simon graduated from UC Davis in June 1992. Dr. Simon's first employment out of veterinary school was at Crown Valley Animal Hospital in Laguna Niguel from 1992-1997. He learned lots of great medicine from the team of doctors that worked there during those days. He was then employed at Moulton Animal Hospital in Laguna Niguel from 1997-2002 when he learned much about the business aspect of the profession from his mentor and friend Dr. Peter Weinstein. In 2002 the Simons ventured out on their own, converting an abandoned Chinese restaurant into into Marina Hills Animal Hospital. Dr. Simon enjoys the relationships he has formed with pet lovers in Laguna Niguel, and throughout the Saddleback Valley (some have moved great distances and still return to Dr. Simon for pet care), some dating back to 1992! He knows that his fortunate circumstances grow from the care and instruction he has received from other people throughout his career, for this he is grateful. 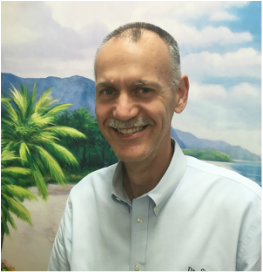 Dr. Simon's interests beyond veterinary medicine include a wide range of DIY home improvement projects (the best projects include the purchase of new tools), and the collection of cichlid fish from Malawi, Africa. He is a Christian, a student of the Bible and strives to follow Jesus as Lord in every aspect of his life. Dr. Stephens is an Orange County native. As a veterinarian, she has been very rewarded with a career in a field that helps pets have better quality of life, and also to be there to help them when they are hurt or ill. Interest in animals led her to acquire an Associate's degree in Animal Health Technology prior moving to Missouri to be near family to finish a Bachelor of Science in Biology at Missouri Southern State University and a Doctorate in Veterinary Medicine at University of Missouri, Columbia. A love for all animals has resulted in a varied work experience in many aspects of veterinary medicine with small companion dog and cat practices, exotic animal practices, a Zoo Veterinary hospital, and an equine practice. Over the past ten years at Marina Hills Animal Hospital, the patients have entirely consisted of dogs and cats. 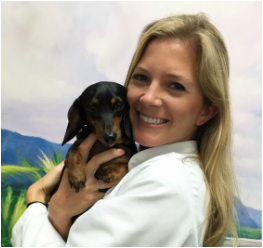 Dr. Stephens is a member of the American Association of Feline Practitioners and she is constantly pursuing further training and knowledge in how to treat pets, prevent disease and reduce fear and stress in our furry little friends. ​Dr. Jamie Peisel is a graduate of UC-Davis Veterinary School. She previously studied psychology and competed on the women’s tennis team at Northwestern University. Dr. Peisel was inspired to become a veterinarian after working through the behavioral issues of her two rescue dogs, Snacks and Romeo. Dr. Peisel is invested in providing excellent communication to support and strengthen your bond with your four-legged family member. While carefully assessing the whole health of your companion, her special medical interests include behavior, dermatology and surgery.